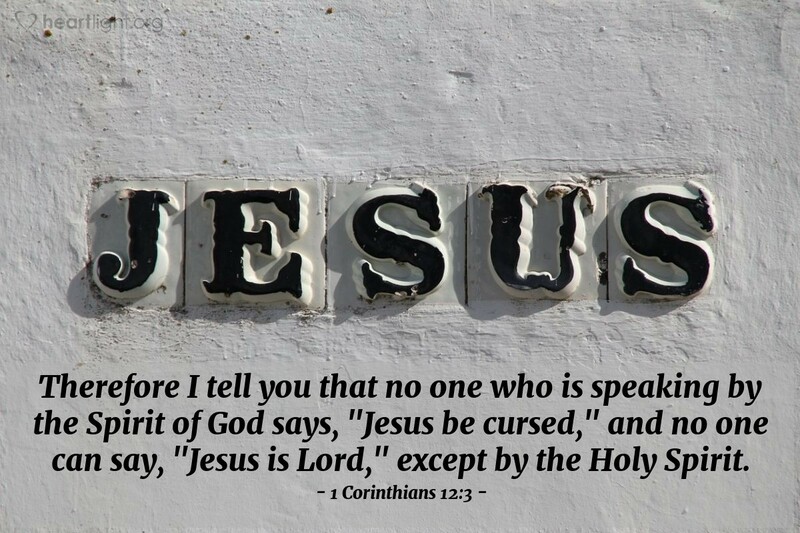 Say it today as often as you can: “Jesus is Lord.” But more than just saying it, truly mean it. Look up the word “Lord” in a concordance and read all the references to it in the New Testament. Open up your heart and ask Jesus to be Lord of your life. Jesus is Lord! He will be so whether you or I recognize it or not. But one day, every knee will bow and every tongue will confess that Jesus is Lord. (Philippians 2:10-11) Let's just get on board while it matters most to us and to those we love! LORD God Almighty, thank you for raising Jesus from the dead and seating him at your right hand in power and making him both Lord and Christ. I want your Son, Jesus, to be my Lord today, and until that Day he comes to take me home. I make this confession in the name of Jesus Christ, my Savior and my Lord. Amen.